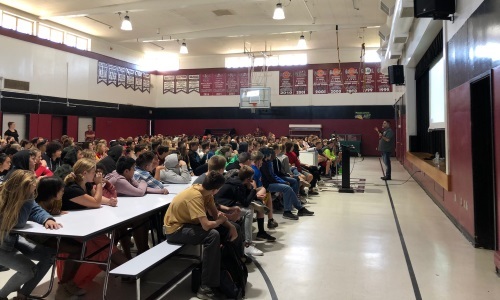 The third day of my Elks DAP Auburn, California tour, I presented three 45 minute presentations to the students at the Glen Edwards Middle School. 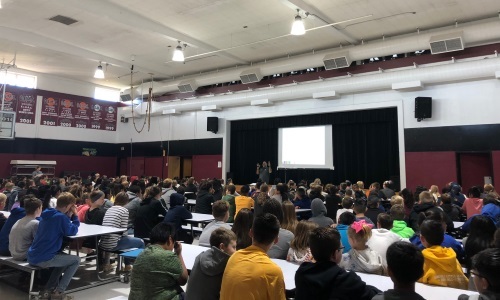 We discussed two of my favorite subjects the ʺ3 P’s of Alcoholʺ and ʺHigh Expectations of Marijuana.” We talked about the dangers and impacts that alcohol and marijuana have on our bodies and minds. We also had a hands on demonstration with students wearing the “fatal vision” goggles which simulates the feeling of intoxication so they can “walk the line” among their peers. Then this evening I conducted a 60 minute parent training at Glen Edwards Middle School which included a discussion on how to talk to youth about alcohol and marijuana use along with a question and answer period afterwards. This tour was sponsored by the Elks Association State Drug Awareness Program (DAP).